Have you ever heard this rare quote from the great Michael Jordan? Few people know that the basketball legend is quite the mixing enthusiast. Okay, so maybe that’s not the EXACT quote, but I think it’s pretty close. The point still stands, if you want to be the “Michael Jordan of mixing,” you’ve got to not only tolerate failure, but embrace it. So…you tend to avoid taking on difficult projects. You don’t write a lot of songs because you know most of them won’t be very good. You never finish a mix because you think it’s possible to do a perfect mix on your first try (or your 1,000th). Fear is a good thing, sweet cheeks. It helps you quickly discover what you need to be doing. Afraid that project you’ve been working on for over a year is going to be a disappointment? Get to work. Finish it. If it ends up being a disappointment, that stinks. Feel the sting of it and move on to the next one. ‘Tis the Michael Jordan Recipe for Making Great Music. Do that, and I promise you’ll get better. 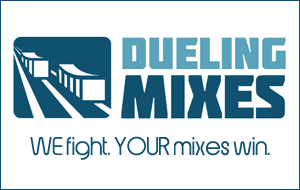 …and just see what happens to your mixes.